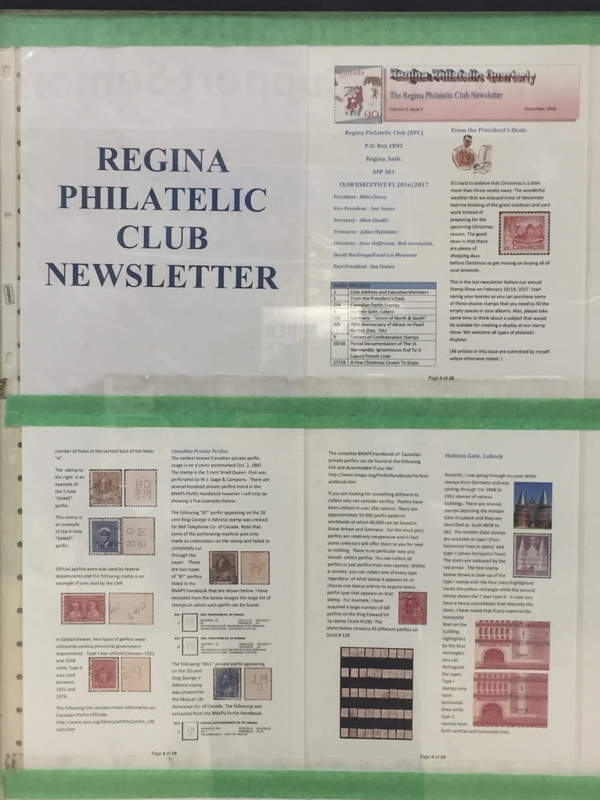 A sociable club for stamp collectors in Regina, Saskatchewan, Canada. 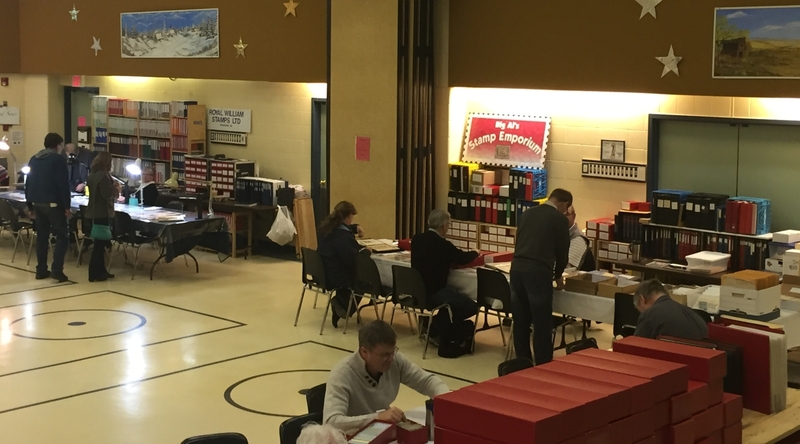 The annual Regina Philatelic Club Stamp Show and Sale was held in February and most everyone involved felt the show was a great success. 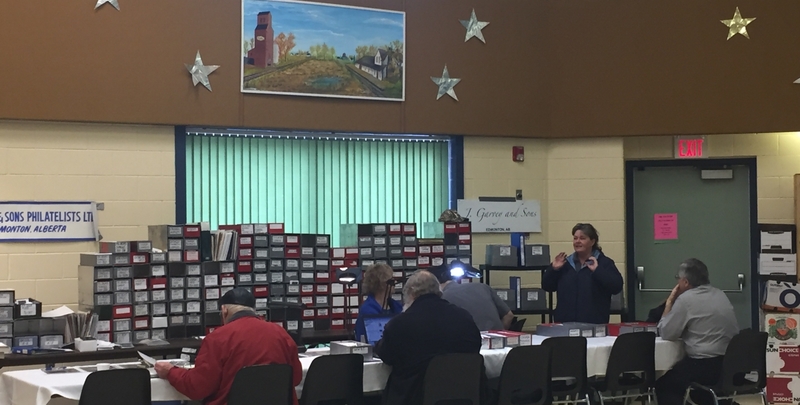 Eleven dealers from across Western Canada were in attendance, including a few coin dealers. Most tables were buzzing with activity throughout the weekend as local collectors added to their collections and a few non-collectors sold off their inheritances. Over 110 people attended on Saturday and approximately 60 people on Sunday, which is a healthy number of people for our little show. It was a great opportunity to reconnect with local collectors who don’t necessarily make it out to club meetings, but never miss the show. 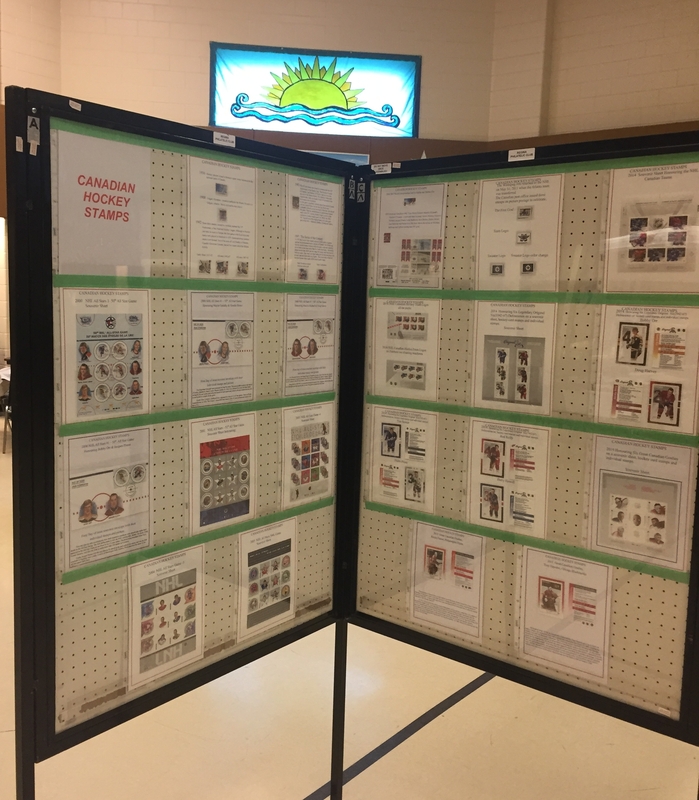 Attendees were able to review several member exhibits, including a look at Canadian hockey stamps, Queen Elizabeth’s Silver Jubilee in 1975 and an example of the club’s quarterly newsletter. While the displays were well done, there weren’t as many as in years past; the show chairperson has already challenged the membership to up their game for next year’s show. Personally, my philatelic ‘inbox’ is already full to bursting, I didn’t buy much at the show this year. But the dealers were happy with the sales activity regardless, with most reserving a table for the 2018 show already. The club expects to make a small loss on the show this year, due to extra expenses associated with reserving the room for setup on Friday evening. However the dealers universally felt Friday setup was a big plus, so we hope to do that again next year too. A special Thank You goes out to show chairperson Ian Yeates, David McDougall and Merv Frederick for their dedication and hard work in organizing the show this year, along with many club members who volunteered over the weekend. In our March meeting, Ian announced that he is stepping down as show chairperson after many years in the role. The search is on for someone to fill his mighty shoes. Next A New Stamp Season Begins Today! 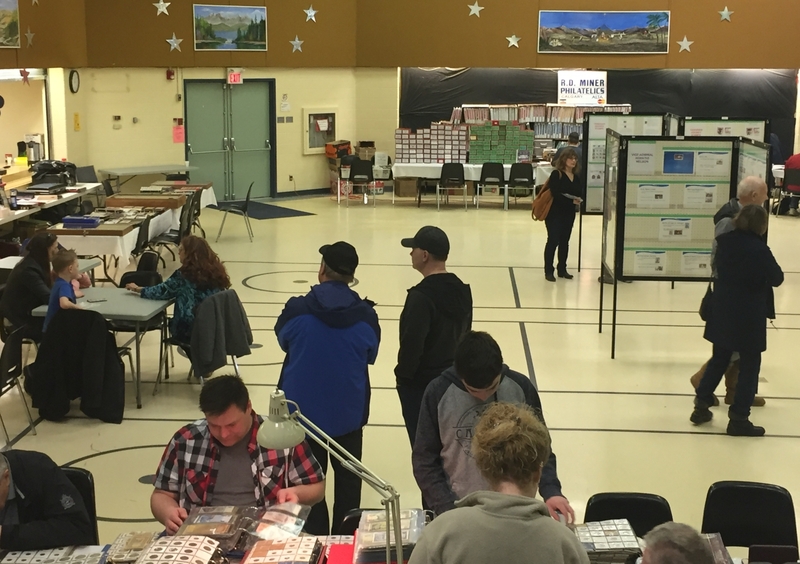 The Regina Philatelic Club Annual Show and Sale Is February 17-18! A New Stamp Season Begins Today!